Angus Energy: Can Lord Lucan's son turn it around? A famous name is tasked with fixing Angus, but it's a big ask. Our analyst also reveals his oil outlook. Oil markets in January have begun to pick up following some key global events that have caused disruption to crude supplies. 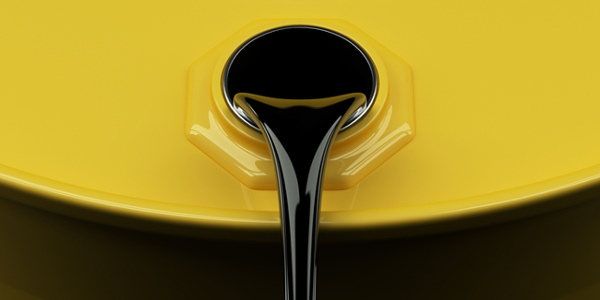 Trouble in Venezuela dumped the country's oil exports to a 10-month low in January. Currently, the situation is very tense as democratic leader Juan Guiado tries to unseat President Nicolás Maduro. This weekend, Maduro conceded he may need to call another election to try and hang on to power. Either way, oil supply from the nation which produces around 1.2 million barrels per day has been massively disrupted. Away from South America, and Saudi Arabia is cutting exports to the United States to reduce inventory levels. Lower imports into the US form part of efforts by OPEC to tighten the market. Interestingly, this seemed to have the desired effect as last week's data from both the Department of Energy (DoE) and American Petroleum Institute (API) printed lower than expectations. The US is not laying down, though, as President Trump wants a lower oil price. They have committed to releasing some of the strategic petroleum reserves (SPR) if needed and if the Venezuela situation gets worse. 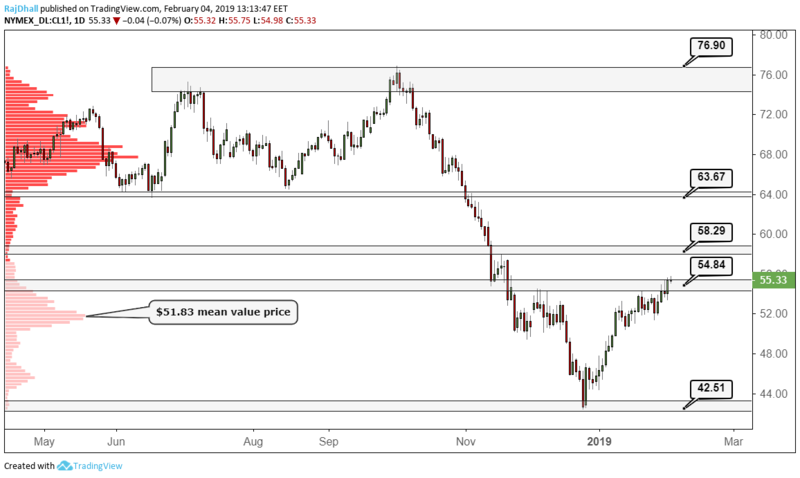 The daily chart for US crude oil has shown a nice pullback from the $42.50 per barrel area, and the price has moved through the $51.83 per barrel mean. This is the price where most futures contracts were traded on the NYMEX exchange. This could be a pivotal point as what happens here will tell us if the market accepts the price or rejects it to move higher. The next resistance of $58.29 per barrel comes from the weekly chart and formed resistance on 17 November 2017. 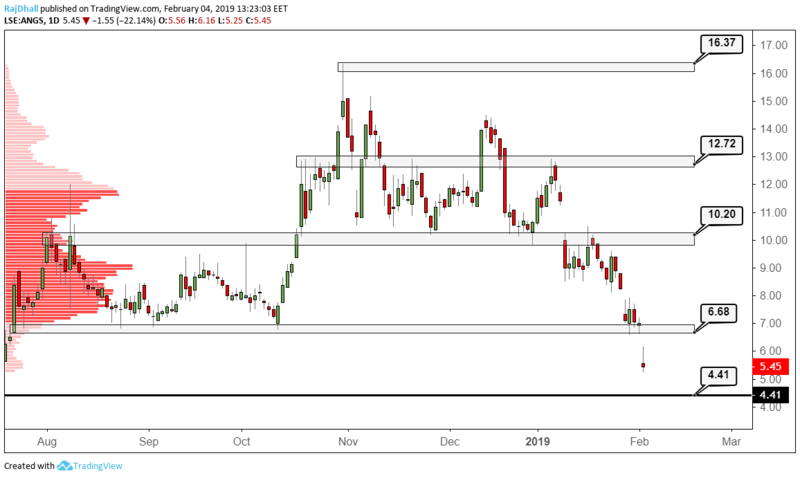 Subsequently, the price broke through the level and it was used as support for a leg higher in February 2018. Currently, momentum seems to be with the bulls, and the outcome of the political situation in Venezuela could drive the theme. Today, UK-listed Angus Energy (LSE:ANGS) provided the market with an update on its Brockham BRX4Z well. The drill was unsuccessful in a few respects but the main points from the report note "During operations several key completion components failed for a variety of reasons beyond the company's control". Of course, it's not really what Lord Lucan's son - George Bingham, the eighth Earl of Lucan - would have liked after recently taking over the company. Angus went on to say that 280 barrels of a combination of oil and water were produced, but that investors should not read too much into the numbers. "It has become apparent that a part of the perforated interval is producing water, which is inhibiting significant oil flow and therefore has not allowed for sustainable flow rates of oil to be reported at this time," it stressed. Although disappointing, all is not lost as the team are now putting together another engineering program to isolate the water. "The water zone is obviously an unexpected hindrance but, with natural flow to surface and evidence of oil, we remain quietly optimistic of achieving commercial success at Brockham," said Bingham. Looking forward, the chart has a familiar theme. Whenever a key event happens, the market stalls at an important support and breaks down as the news is worse than feared. Right now, the share price is near the all-time low of 4.41p set in June 2018. There may be a test of this level but, remember, all the news from the report was not bad. If the new team can work towards improving the drilling standard and remove the water and excess, the price could come back. Unfortunately, this is a binary event and the probabilities match an even coin toss at best. That coupled with the board room shenanigans don't fill analysts with much confidence.